Lots of travelers who come to Hawaii are anxious to see what the state offers off the beaten tourist-path. But, visiting “local” neighborhoods to check-out how residents live, eat, and recreate may soon come at a price. A new bill under consideration by the City Council would require permits to park in certain residential areas, so those who live there would have priority when parking near their homes. According to Hawaii News Now, under the current bill, permit fees could be as high as $65 for a two-year residential permit, and residents could purchase as many as four. Guest passes are also under consideration, for $1 per day or $30 per year. 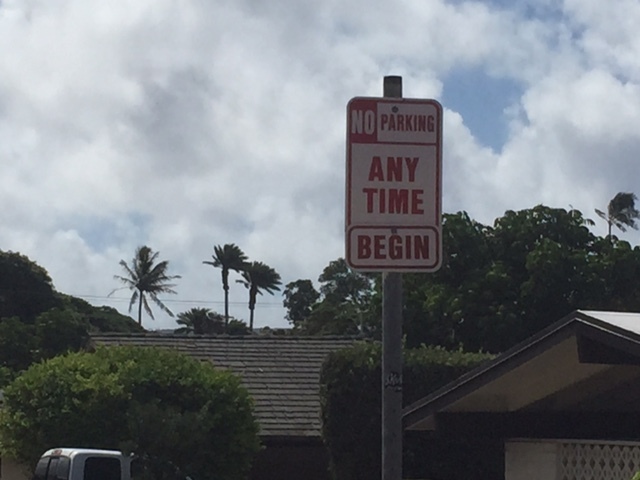 As the bill stands, residents would have priority when purchasing the Hawaii parking permits, but businesses may also be allowed to purchase permits for nearby parking. Many residential areas designate certain places as No Parking zones to keep cars from blocking driveways. Although the new Hawaii parking permits would most likely affect those who take advantage of on-street parking when commuting to work, the new bill could also impact visitors who prefer to rent a car and visit residential areas. In these areas, visitors might be out-of-luck when trying to find free, on-street parking when touring local areas. Instead, many visitors will be forced to pay for parking in lots or garages—or acquire a guest pass from a resident. Honolulu Transportation Services Director Michael Formby says his department fields complaints from residents in areas, such as Ewa, Ewa Beach, Makiki, Kapahulu, and Lanikai. 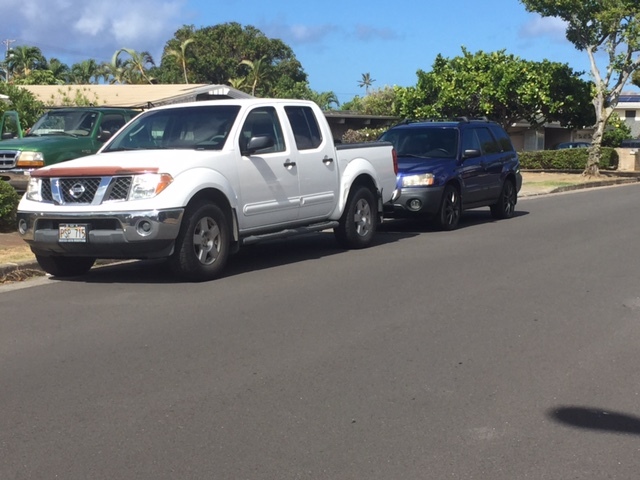 On-street parking is also a problem in Manoa, where many students use on-street parking in neighborhoods to park their cars while they attend classes. For now, the bill doesn’t specify any particular neighborhoods where the restricted parking zones would be created. Some residents say that, while they need relief, they also sympathize with students. They just don’t want them blocking their driveways. Street parking is at a premium in some residential neighborhoods. So, visitors who prefer to leave Oahu’s designated tourist areas, such as Waikiki and Ko Olina may want to consider taking a taxi or other public transportation when heading out. That’s because free, on-street parking for everyone may soon be a thing of the past.